I've been expierementing with different brewing vessels and I decided to make my own. I used spare parts I had from beer brewing. Step one: Drill out 1" hole as close to the bottom of the bucket as possible keeping enough room for the spigot nut to have clearance. 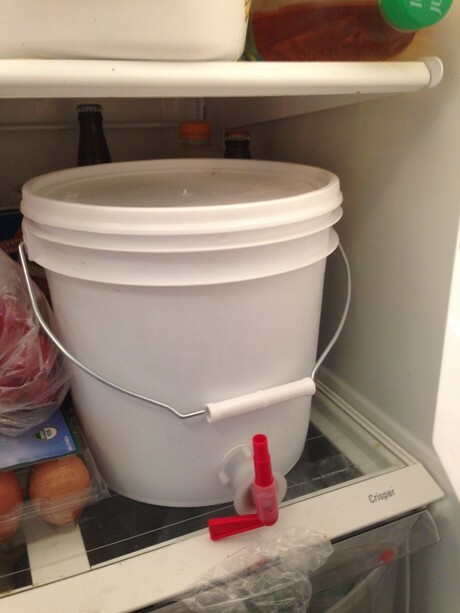 Step four: Put grounds in nylon bag and tie tight, place bag in bucket, add water, let sit overnight in fridge. Ste five: Turn spigot downward and turn handle to pour.